This website is intended for use of Canadian customers only. All products available on this website are available only in Canada. All prices on this website are displayed in Canadian dollars and are subject to change without notice. Some of the products listed on this website may be unavailable. To log into your account click “My Account” button, enter your login and password. If you forgot your password, go to the “My Account” section and then click on “Forgot your Password?”. Enter your e-mail address, your password will be sent to your e-mail address. If you wish to view your order history, go to the “My Account” section and then click on “My Orders”. You will have access to your full order history. Before submitting an order for the purchase of products using this website, you will be shown an order confirmation screen describing, among other things, the products to be ordered, the purchase price and any applicable charges for shipping and taxes. When you submit your order by pressing the “Submit Order” button, such order will constitute an offer from you to Lise Watier Cosmétiques Inc. (Lise Watier Cosmétiques) to purchase the products described in the order confirmation screen for the price and subject to other charges, terms and conditions set out on the said order confirmation screen. Orders are not binding on Lise Watier Cosmétiques until accepted by Lise Watier Cosmétiques. Lise Watier Cosmétiques’acceptance of your order is evidenced by a return e-mail from Lise Watier Cosmétiques indicating that your order has been accepted. Lisewatier.com currently is unable to accept orders that are billed or shipped to destinations outside of Canada. 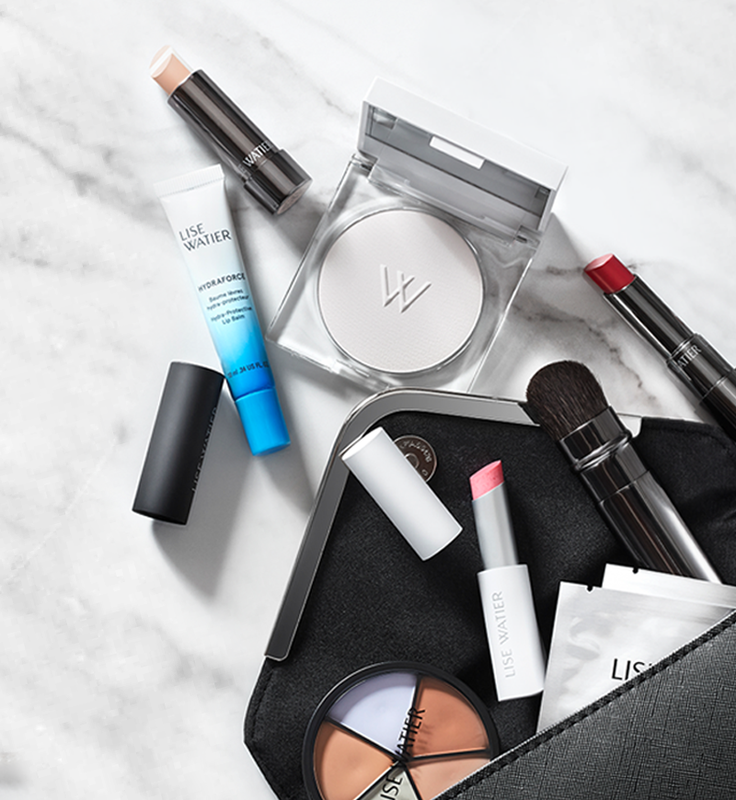 Lise Watier Cosmétiques reserves the right, at its sole discretion, to limit quantities, terminate accounts and to refuse or cancel any order, including after the order has been submitted, whether or not the order has been confirmed and your credit card charged. In the event that your order is cancelled after your payment has been processed, Lise Watier Cosmétiques will issue a full refund. LISEWATIER.COM ships via Canada Post to Canadian addresses only. No deliveries are made on Saturdays or Sundays. We do not accept orders being shipped to Army Post Office, Fleet Post Office and Post Office boxes. Unless otherwise stated, all prices quoted do not include shipping and handling charges. Separate charges for shipping and handling will be shown on the order confirmation screen for each order, as applicable. LISE WATIER COSMÉTIQUES SHALL NOT BE RESPONSIBLE FOR ANY DAMAGES OR COSTS RESULTING FROM ANY DELAYS IN DELIVERY. The availability of certain products may be limited, and products may not be available for immediate delivery. Lise Watier Cosmétiques may revise or cease to make available any product at any time without prior notice. In the event that Lise Watier Cosmétiques is unable to deliver you a product ordered due to a lack of availability, Lise Watier Cosmétiques will notify you via e-mail and your order will be automatically cancelled with respect to such unavailable product, provided that Lise Watier Cosmétiques may, in its sole discretion, contact you in order to allow you to maintain your order subject to a revised delivery time if and when the product becomes available. THE PRODUCTS AVAILABLE FOR SALE AND/OR DISTRIBUTION BY LISE WATIER COSMÉTIQUES ARE AVAILABLE ONLY IN CANADA AND THIS SITE IS DIRECTED ONLY AT CANADIAN CUSTOMERS AND PROSPECTIVE CUSTOMERS. Welcome to Lisewatier.com where shopping is easy, fun and secure. Simply follow the instructions described on the “Customer Services” page. This site is best viewed with Internet Explorer 6.0 or higher and a minimum monitor resolution of 1024 x 768. Please note that monitors display colors differently based upon their settings. For delivery and payment security purposes, we limit the value of orders submitted, individually or in the aggregate, through LISEWATIER.COM, to one thousand dollars ($1 000) per month.
. Paypal account, Amex, Debit Card, Visa, Mastercard. If for any reason you are not happy with your purchase, we will be happy to accept a return or exchange within thirty (30) days of the delivery. We will be happy to credit your account for the amount of the purchase. Please follow the steps described on the “Customer Services” page. a) When your order arrives, please inspect the package for any damage that may have occurred during shipment.It is normal for the shipping carton to show some wear and tear, however, if the item or items in your shipment was or were damaged, please contact us immediately at 1-855-LWatier or send us an e-mail. All products purchased from LiseWatier.com are delivered to you by a third party delivery company pursuant to a shipping contract. You shall become the owner of the products and shall assume the risks of loss at the time of delivery by Lise Watier Cosmétiques of the product to the third party delivery company. Lise Watier Cosmétiques is not affiliated or associated with sponsors or producers of any third party websites that hyperlink to or from the Lise Watier Cosmétiques’ websites. We explicitly disclaim any responsibility for the accuracy, content, or availability of information found on sites that link to or from the Lise Watier Cosmétiques’ websites from such third parties. We cannot ensure that you will be satisfied from any products or services that you purchase from a third party site that links to or from the Lise Watier Cosmétiques’ websites since these third party sites are owned and operated by independent merchants. We do not endorse any of the merchandise or services, nor have we taken any steps to confirm the accuracy or reliability of, any of the information contained in such third party sites. We do not make any representations or warranties as to the security of any information (including, without limitation, credit card and other personal information) you might be requested to give any third party. The Lise Watier Cosmétiques website is owned and created by Lise Watier Cosmétiques and supervised by Lise Watier Cosmétiques. The contents of the Lise Watier Cosmétiques website are copyrighted and protected by law. Except as stated herein, none of the material on the Lise Watier Cosmétiques website may be copied, reproduced, distributed, republished, uploaded, displayed, posted or transmitted in any way whatsoever. However, you may download material for your own personal, non-commercial use, provided that you agree to abide by any copyright notice or other restrictions contained in any material included in or accessed through the Lise Watier Cosmétiques website and include any author attribution, copyright or trade-mark notice or restriction in any such material that you download. You may not use such downloaded material for any commercial purpose. Modification of materials or use of the materials for any other purpose is a violation of copyright law and other proprietary rights.